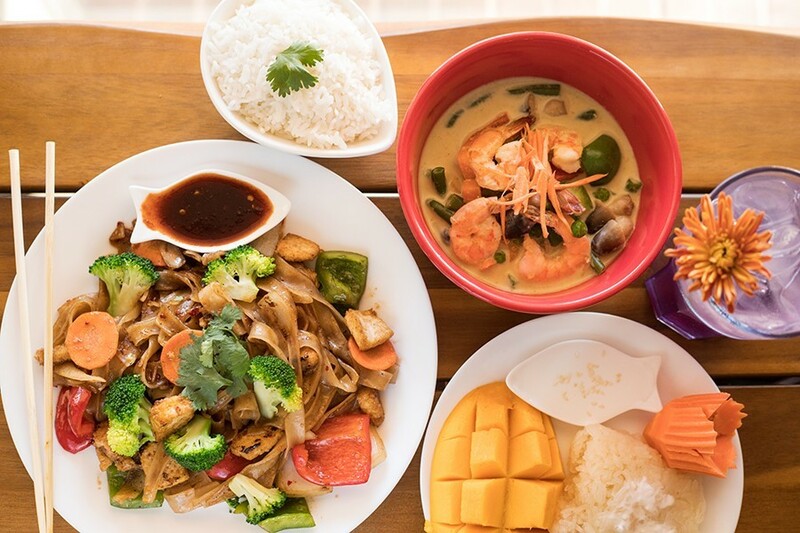 My Thai’s highlights include “Drunken Noodles,” green curry with shrimp, sweet sticky rice and mango, and Thai blue lemonade. 4495 Forest Park Avenue, 314-833-4404. Mon. 11:30 a.m.-2 p.m. and 5-9 p.m.; Tues. 5-9 p.m.; Wed.-Sun. 11:30 a.m.-2 p.m. and 5-9 p.m.
Somying Fox was born and raised in Thailand, grew up eating home-cooked Thai dishes and even took a class on her native country's cuisine in high school. Yet if you ask her where she learned to really cook Thai food, she doesn't hesitate: Tulsa, Oklahoma. If the location of Fox's culinary awakening is shocking to her customers, it was even more so to Fox. After graduating high school in her home country, Fox came to the United States to study business and finance with the intention of returning to Thailand to teach. Falling in love would change those plans. Not only did Fox meet her husband in the U.S., she also discovered a passion for cooking thanks to a part-time job at a Thai restaurant. Though she took the gig to support herself during college, she quickly discovered both a love and a knack for cooking. Inspired to share the food of her homeland with an American audience, Fox prepared to open a restaurant of her own after graduating. The plan was to do that in New Orleans, where Fox's husband had gotten a job as a university professor. Fox scouted a location, secured a lease and got to work preparing to open her debut restaurant. Less than a month after they arrived, however, Hurricane Katrina struck, devastating the city. 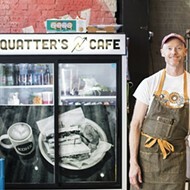 Though they were not able to leave town immediately because of her husband's contractual obligations, Fox put her restaurant dreams on hold to wait for another opportunity in a city that was less hurricane prone. That city would be St. Louis. 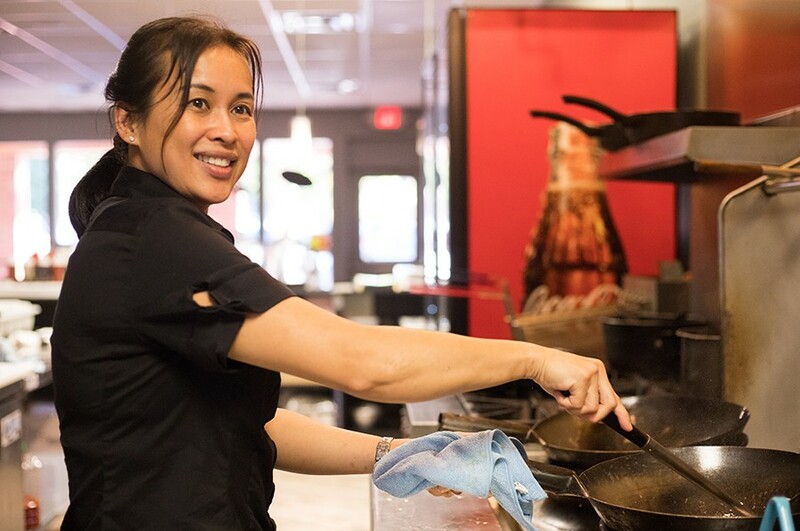 After Fox's husband landed a job teaching here, she again pursued her goal of opening a Thai restaurant, this time with much better results. 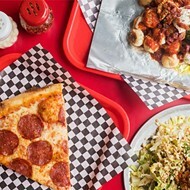 She opened her debut effort, Basil Spice, on South Grand in 2008, and it quickly became the successful operation she had envisioned. In fact, it became so successful that it took up every waking hour of Fox's life. After five years of running the business basically on her own, she decided to cede many of her duties to other family members so she could focus on raising her kids. Chef/owner Somying Fox also owns Basil Spice on South Grand. 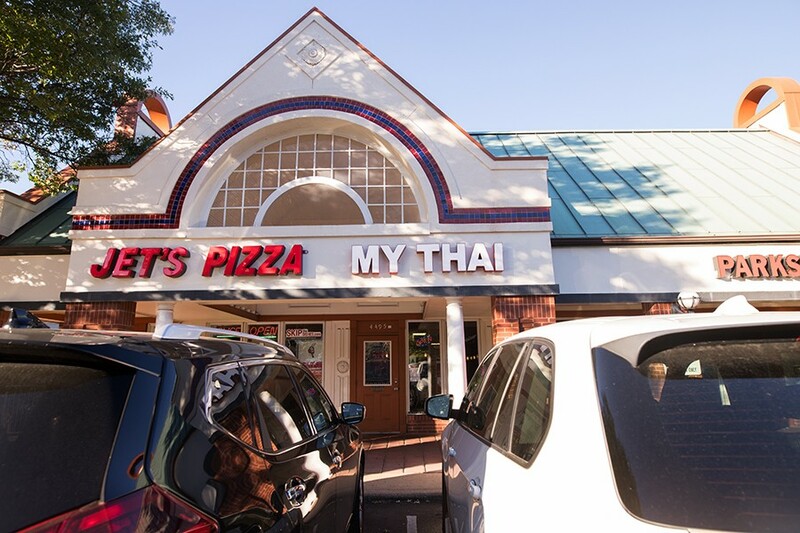 Still, the restaurant bug did not leave Fox, and as soon as her kids were grown, she decided to go all-in again, this time with the new concept My Thai. 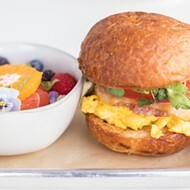 The eatery, which opened in July in the Central West End, draws upon what she created at Basil Spice, but it's not a carbon copy. Instead, it's an evolution of the concept, inspired by Fox's growth as she has found her culinary voice. Having mastered more traditional recipes, Fox feels free to experiment now, adding her own touches as she enters a new chapter in her restaurant career. Fox had been toying around with the ideas behind her sophomore effort for a while; finding its location in the Central West End was the "aha!" moment. She had always loved the neighborhood's cosmopolitan feel, but wanted a spot that was easy for her guests. That meant parking, and so when she saw that the strip mall at Forest Park Avenue and Taylor had a space (and parking) available, she jumped on it, converting a former Great Clips into a modern, yet cozy, restaurant. Though a few tables dot the front portion of the space, most of the seating consists of a single row of neutral-colored banquettes that line the back of the dining room. 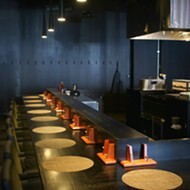 Grey-hued wooden slats cover the floor, and the walls are painted different shades of olive green. The restaurant's most striking decorative feature is a series of paintings that look like geometric renderings of flowers, courtesy of an artist friend of Fox. Fox's training in Oklahoma may seem far removed from the country that inspired her dishes, but once you taste her food, you'll understand the connection. Her offerings, such as a simple appetizer of fried shrimp rolls, are authentic but approachable for the American palate. Wrapped layers of paper-thin wonton, the shellfish is fried to a golden brown and served with a delicate sweet chile sauce for dipping. There's a little bit of fish-sauce funk to the condiment — enough to give it complexity, but not so much as to alienate less-adventurous diners. 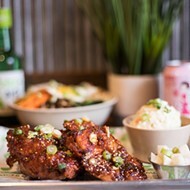 Initially, My Thai's chicken wings appear overly simple, but each bite reveals more and more interest. The attached wing and drummy are barely seasoned, but they're cooked in a way that allows the skin to caramelize, resulting in the deeply savory, almost nutty flavor you get from a perfectly roasted chicken. Fox serves them with sweet chile sauce for dipping, but I found myself putting it aside in favor of experiencing the wings' subtle yet powerful chicken flavor. Crab rangoons are served with sweet chile sauce. Though not a traditional Thai dish, My Thai's crab Rangoon are a must-try for anyone who has a soft spot for the guilty pleasure of deep-fried cream cheese. Fox's are far superior to the frozen version that so often accompany takeout Chinese food. Here, they are rectangular, encased in thin wonton wrappers that flake apart after being fried. Scallions and imitation crab spike the molten cream-cheese interior, adding just a touch of pungent and salty flavors. 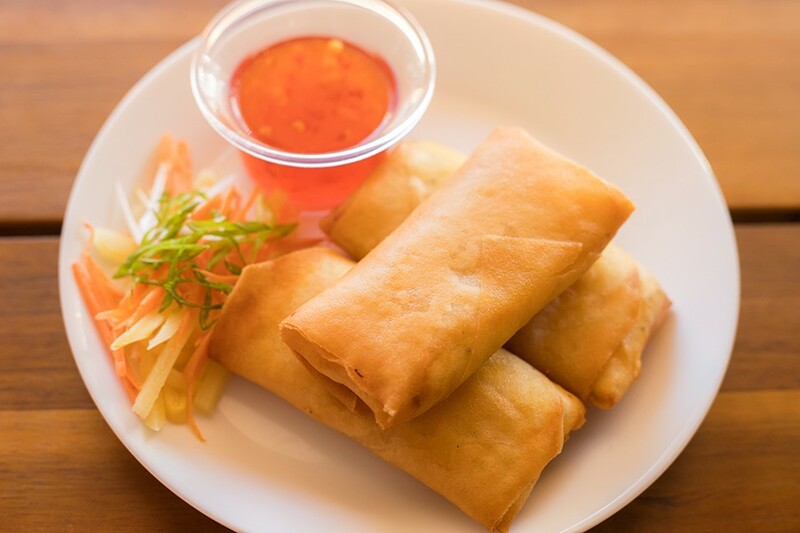 My Thai's spring rolls are fair, but they're filled with too many noodles and shreds of iceberg lettuce, taking away the crispness and punch of fresh herbs that comprise superior versions. Skip these and order the pot stickers instead. Like the crab Rangoon, these are completely different than the traditional version — in this case, they have more in common with an Indian-style pakora than a Chinese dumpling. Rather than being stuffed inside, the minced pork is interwoven into the dough and flecked with caramelized onions. Alone, they are excellent, but dipped into the accompanying garlic sauce — a transcendent mixture of fried garlic and garlic oil I can't stop lovingly referring to as "garlic crispies" — they are positively outstanding. For the Thai-noodles dishes, Fox does not deviate from the playbook. Pad Thai is adequate, more funky and less sweet than other renditions. Pad see ew ticks off the essentials of the classic: Sugary-soy-coated noodle ribbons are tossed with carrots, broccoli and fried egg. Both dishes, however, lack the brightness and complexity that differentiates good from great. “Drunken noodles” coat tofu, peppers, onion, carrots and broccoli with a delicious umami fish-sauce flavor. The "Drunken Noodles," however, are My Thai's essential noodle dish. Rather than being sticky, these noodles are dressed in a delicate sauce that has just an essence of fish-sauce umami. Combined with the licorice-forward Thai basil that is generously incorporated into the dish, the flavor is at once deeply savory and peppery with a lingering essence of anise. You can choose among several proteins; I opted for the beef and was impressed with hunks of meat reminiscent of pot roast. This is a prime example of how Fox shines brightly when she allows herself to experiment. 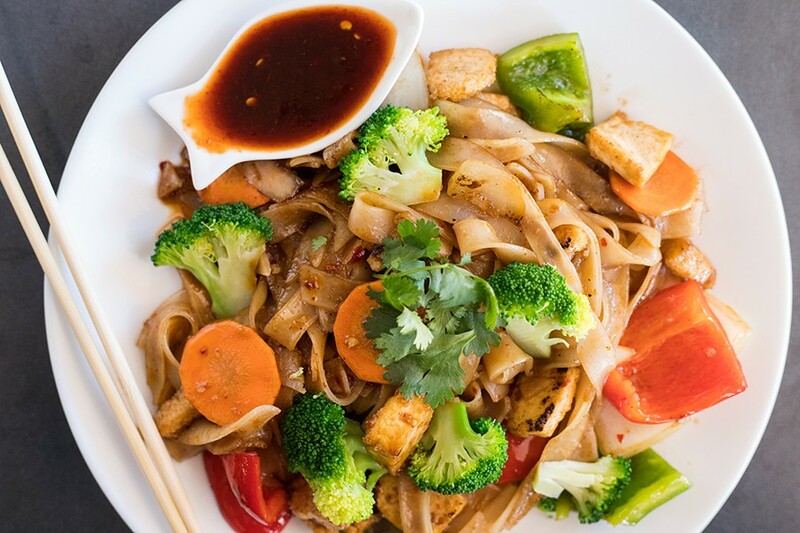 If the "Drunken Noodles" are My Thai's most popular dish, Fox's curries and stir-fries are the menu's highlights. I expected a stir-fry of pork with garlic to be a simple wok-seared entrée; instead, it bobbed in enough delectable broth to qualify as soup. The tender white meat and mixed vegetables are steeped in a light broth evocative of pho; a dash of fish sauce deepens the flavor. I can't think of a better way to warm up in this already-cold weather than this steaming bowl of comfort. If the stir-fried pork is warm and soothing, the green curry is a fiery jolt of heat. The broth has so much green chile spice it lights the mouth on fire, but rich coconut milk softens the flames. The Panang curry was even hotter, a basil-and-sweet-coconut-scented bowl of fire that is, appropriately, the color of the midday sun. Both varieties are served with mixed vegetables and an optional protein. I found the shrimp and chicken preferable over the tough tofu, though served searing hot, all proved utterly addictive. After enjoying the curries to the point of pain, my palate craved sugary respite, and My Thai's desserts delivered. Steamed sticky rice drenched in sweet coconut milk is like a thick, less liquid-y rice pudding. A scored half mango rests atop the rice and cuts through its richness with tartness. I also enjoyed the Thai crepe, a spongy, rolled-up piece of dough glazed in sweetened condensed milk. The crepe is then griddled so that the milk solids caramelize, creating a nutty flavor. As I ate the crepe, I could not help but be reminded of the pleasure that comes from bread pudding, just as the stir-fried pork brought me back to the chicken soup that simmered on the stove at my great-aunt's house. Perhaps it's not so odd that Fox had to travel all the way to Tulsa to learn Thai cooking. Flavors this good know no boundaries. My Thai is located in the Central West End.